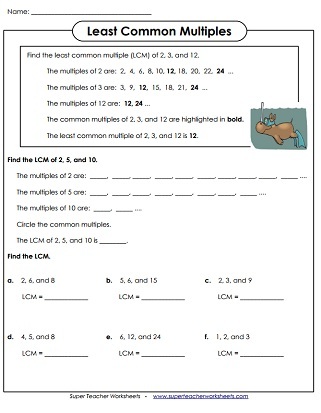 Use these worksheets review least common multiple, or LCM, of groups of numbers. Find the LCM for each pair of numbers. Step-by-step practice sheet for finding the LCM of 2 numbers. 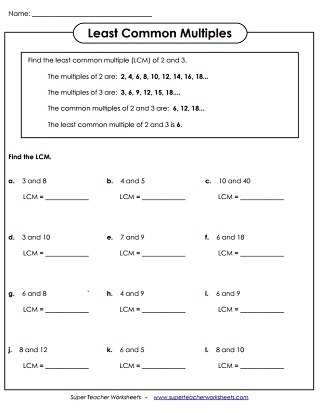 Another worksheet in which students determine the least common multiple for each number pair. Students find the LCM for each number set, then answer the short-answer thinking questions. Find the LCM for each set of three of numbers. 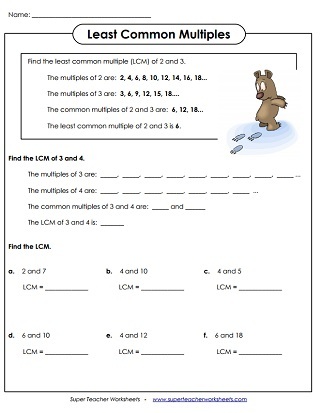 On these printable worksheets, students will identify multiples of the given numbers.